Many rural bus services in England and Wales face being wiped out by council budget cuts, campaigners have warned. Research by the Campaign for Better Transport says subsidies to routes have been reduced by £78m since 2010, with another £27m under threat this year. It likens the situation to the cuts to about a third of the rail network made on the back of a report by civil servant Dr Beeching in the 1960s. Councils say "difficult decisions" are being made amid government cuts. 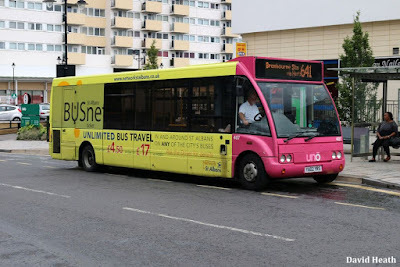 The Campaign for Better Transport says reductions in local authority funding had already resulted in thousands of bus services being reduced or cancelled in recent years. According to its research people in Lincolnshire, Derbyshire, Leicestershire, Somerset, Dorset, West Berkshire, Wiltshire, Oxfordshire, Hertfordshire, North Yorkshire and Lancashire will be among the worst affected. Oxfordshire County Council says it is looking to save nearly £4m by cutting subsidies to more than 100 routes. It told the BBC it had been left with no choice but to include buses in the services it was cutting, because of an overall reduction in government funding to councils. Martin Abrams, from the Campaign for Better Transport, said: "Up and down the country utterly devastating cuts are now being inflicted on our vital bus services on a par with the swingeing and misguided cuts the government and Dr Beeching made to our rail network which decimated services back in the 1960s." Buses are overseen by the Department for Transport in England and the Welsh Assembly in Wales, but decisions on funding for services are made by local authorities. Transport minister Andrew Jones said: "The government protected around £250m of funding for bus services in England, provided through the Bus Service Operators Grant, as part of last year's spending review." He said ministers had also provided £7.6m in support for 37 local transport schemes in rural areas, while more than 300 charities and community groups across England would benefit from new minibuses through a £25m fund. He added: "We are also developing measures in the upcoming Buses Bill so local authorities can deliver improved bus services." The Welsh government, meanwhile, said last month it was committed to improving the quality and accessibility of local bus services. Labour's shadow transport minister Daniel Zeichner said: "David Cameron promised to keep the free bus pass but he cut the buses instead. Labour would make sure that local communities have the power to make bus operators provide the services local people need." 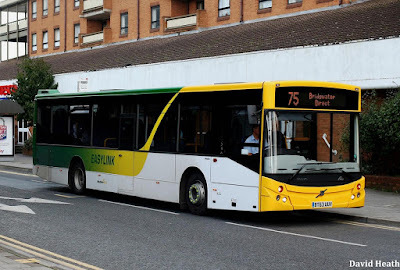 Peter Box, the Local Government Association's transport spokesman, called for the concessionary fares under which councils provide free off-peak travel for elderly and disabled residents to be fully funded by the government. He added: "Councils know how important buses are for their communities and local economies and are desperate to protect them. Instead, many across the country are reluctantly taking difficult decisions to scale back services and review subsidised routes as a result."